With yet another top-notch season under his belt, FC Barcelona striker Lionel Messi has taken one more step towards cementing his near-deity status. 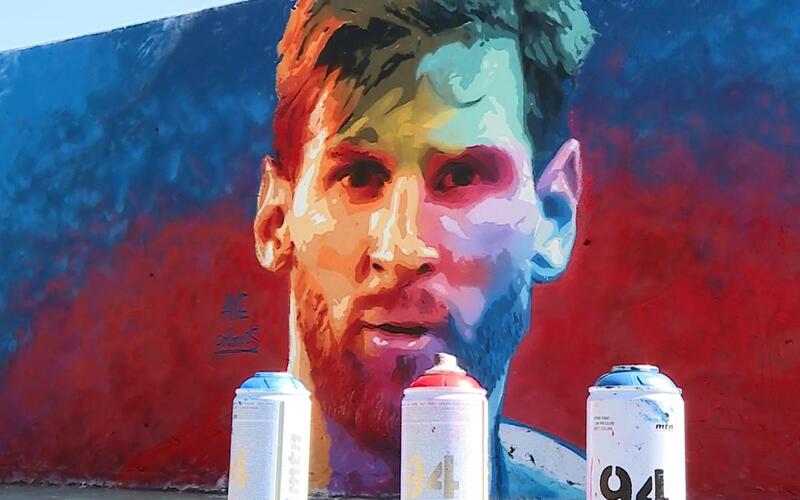 And nowhere is the proof of Messi’s divine following more evident than on the streets of Barcelona, where the graffiti artist Adrià Bosch, who goes by the pseudonym AXE Colours, recently dedicated a mural to the Barça number 10. Messi’s likeness can currently be seen at the Jardins de les Tres Xemeneies (Three Chimney Gardens) in the city’s Poble Sec neighborhood. The new work by AXE Colours is not the artist’s first project depicting the Barça star. In 2011 and 2016, Bosch dedicated two works of art to Messi in honor of his third and fifth Ballon d’Or awards.